Yes, Newhaven has a pier, otherwise known as the arm. You used to be able to walk along it, which was great. On your left as you walked out was the sandy West Beach, which you could also go on in those days; on your right a collonnade, where you could stand and listen to the waves crashing against it from the other side. On a good, windy day on a high tide, you could shelter there while the waves came right over the top, and watch the water fall in front of you. At the end, there is a lighthouse. There's some history and some interesting photos here. I took a few photos when I was there at Christmas (I have taken many more over the years, but I can't lay my hands on them right now). These were taken from Tidemills, with the dredger approaching. 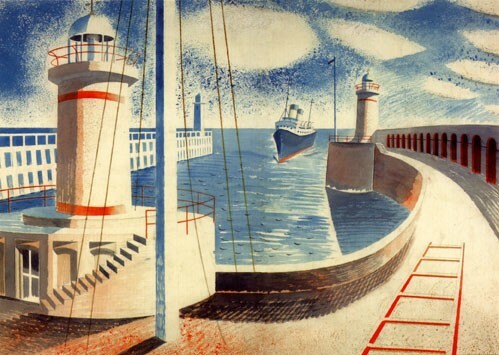 But Newhaven's pier has also drawn the attention of artists over the years. 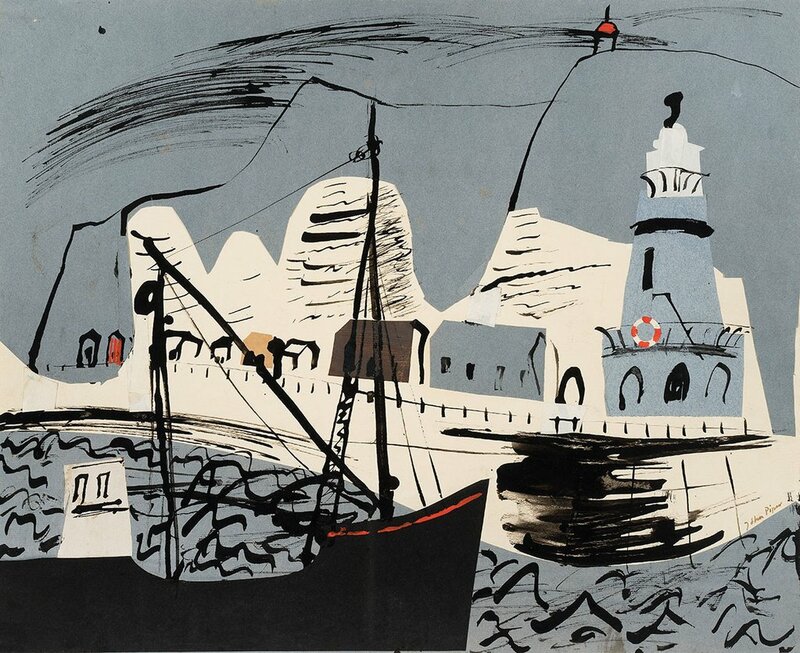 In 1936, it was painted by both John Piper and Eric Ravilious. James Russell's blog here has a lovely account of how he followed in their footsteps - it's nice to see Newhaven and the surrounding area described so positively by an outsider. He also has an excellent photo showing the collonnade. Although I think there is a bit of artictic licence there. As you can see Ravilious died young, and in mysterious circumstances. Working as a war artist, he was on board a plane that disappeared off the coast of Iceland. Neither it - nor he or any of the crew - were ever found. 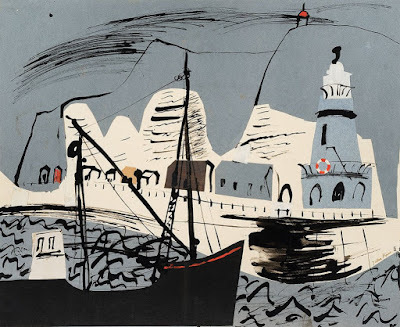 John Piper (1903-1992) was Ravilious' exact contemporary and friend. 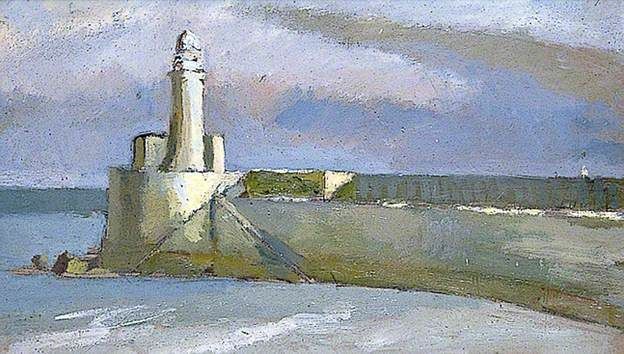 His version of the pier is viewed from the sea - or maybe, like mine, from across the bay. Three different artists, all around the same time, but three very different piers.